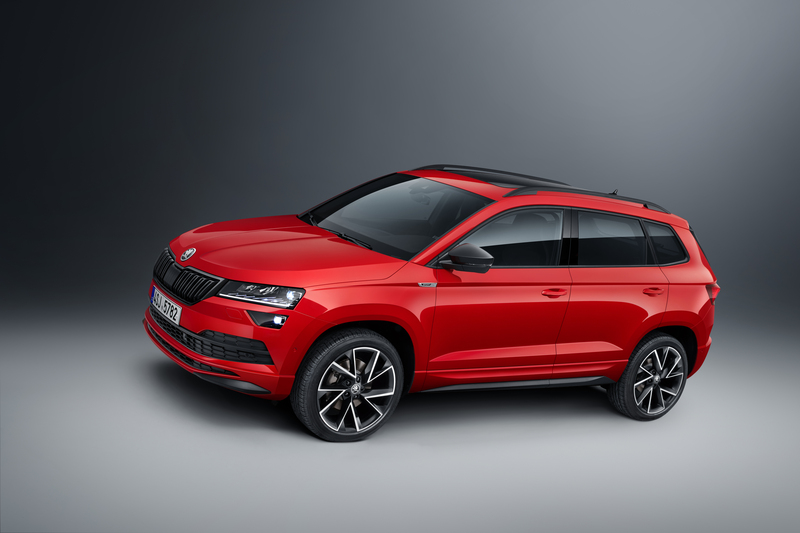 Mladá Boleslav, 2 August 2018 – With the new ŠKODA KAROQ SPORTLINE, ŠKODA will be presenting a second new variant of the compact SUV KAROQ– an even sportier version in terms of design and driving dynamics – at the Paris Motor Show 2018 in October. And to live up to its name, the ŠKODA KAROQ SPORTLINE is offered exclusively with the most powerful 140 kW (190 hp) petrol engine in the series. 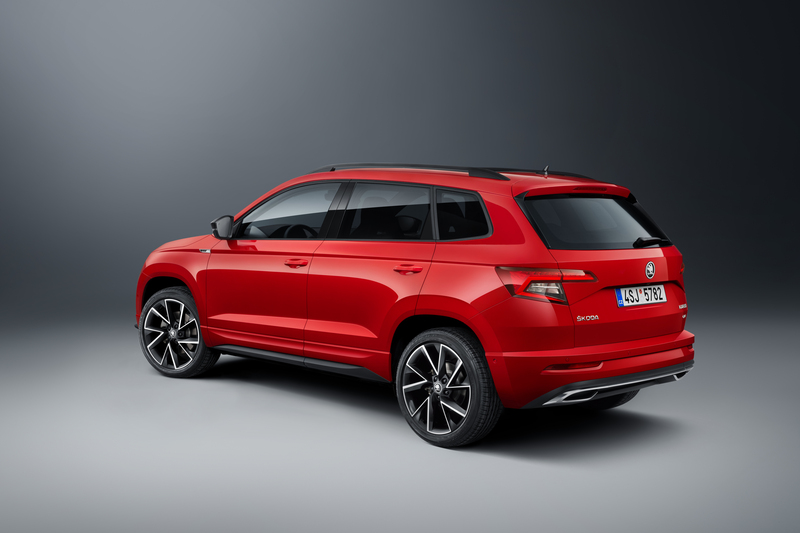 The ŠKODA KAROQ, introduced in 2017, is the second addition to ŠKODA’s SUV range and carries over the brand’s design language into the compact SUV segment. The compact SUV features innovative technologies including a Virtual Cockpit and wireless charging for mobile devices. In terms of connectivity, the ŠKODA KAROQ sets the benchmark in its class. The infotainment system features ŠKODA Connect online services with online infotainment as well as proactive services such as automatic emergency call. A true ŠKODA, the KAROQ offers a compact interior space with plenty of room for up to five passengers and luggage. There are four efficient and environmentally friendly engines to choose from, while the 2.0 TSI petrol engine with 140 kW (190 hp) is offered exclusively by ŠKODA for the KAROQ SPORTLINE. The more powerful of the two 2.0 TDI diesel engines also produces 140 kW (190 hp). In combination with this drivetrain, the compact SUV brings power to the road with a 7-speed DSG and four-wheel drive. The front-wheel-drive 2.0 TDI with 110 kW (150 hp) comes with a manual 6-speed gearbox for traction as standard. Four-wheel drive, combined with 7-speed DSG, is optionally available for this model. 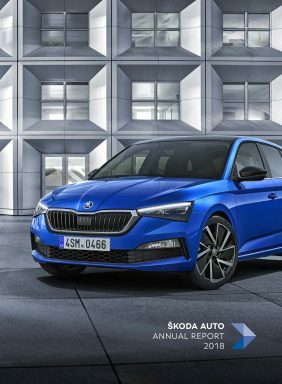 For the 1.5 TSI petrol engine (110 kW/150 hp) with front-wheel drive, ŠKODA also offers the 7-speed DSG as an option, also in combination with all-wheel drive. The dynamism of the ŠKODA KAROQ SPORTLINE’s is clear at first glance. Sports bumpers and the exclusive black 18-inch ‘Mytikas’ alloy wheels create a sporty appearance and19-inch ‘Vega’ black polished alloys are available as options. The front mudguards bear the SPORTLINE logo and the body colour and black entry area, tinted windows and black roof rails round off the model’s elegant exterior. In the interior, black sports seats with contrasting silver stitch work immediately catch the eye. The seats are upholstered with revolutionary three-ply air-permeable Thermoflux fabric, which brings extra comfort to passengers, especially in summer. The front seats feature lumbar support; the rear seats are fixed. The multifunction sports steering wheel is covered with perforated black leather with stitching in silver. Pedals with stainless steel elements, a black headliner, black roof pillars and an LED package, which includes ambient lighting, complete the sporty interior. ŠKODA can equip the KAROQ SPORTLINE with a Virtual Cockpit on request. Virtual Cockpit in the KAROQ SPORTLINE has additional fifth display mode, which features the rev counter and the current speed in the centre. Thanks to an LTE module and Wi-Fi hotspot, passengers in the ŠKODA KAROQ are ‘always online’. The drive dynamics can be configured via the driving mode selection, and the electronic stability control ESC benefits from a two-stage configuration. A typical ŠKODA, the KAROQ SPORTLINE also features numerous ‘Simply Clever’ ideas and storage options. The optional electric boot lid with tip-to-close function opens and closes at the push of a button or by pulling gently on the open lid; on request, the virtual pedal under the rear bumper allows the fifth door to be opened with a simple foot motion. ŠKODA offers a practical roller cover or variable floor for the boot. Luggage nets on the front seats and centre console make everyday driving easier, as does the compartment for small change and carpark tokens on the driver’s side, as well as a holder for multimedia devices.